The long, harsh, cruel winter is now giving way to spring. 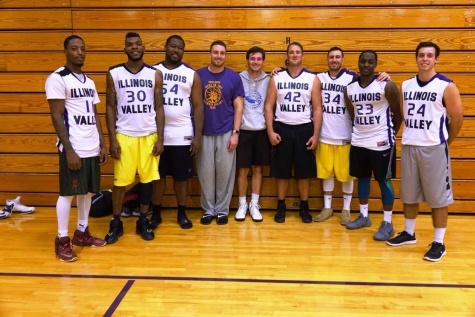 That means basketball season is over across the Illinois Valley, and for the IVCC Men’s Basketball team, it was disappointing year to say the least. The Eagles finished the season with a record of 9-21. The season was marred by the losses of key talent such as Ty Bland, Julian Jones, R.J. Thaxton and Vyshonn Munson. Coach Chris Herman states that it was a strange season with distractions on and off the court. Notable wins included the Nov. 6 matchup with Milwaukee Area Technical College, who ended up finishing fifth place in the national tournament. They also nearly came away with a victory over South Suburban College, who was ranked No. 1 in the nation for most of the season. In close games with good teams during the second half of the season, Herman said that regular basketball I.Q. issues got in the way. “They were good kids but they didn’t have a ton of experience playing at this level,” said Herman. Another issue that plagued the Eagles this season was rebounding. The Eagles ranked 24th in the region in rebounds per game with 34.7. “There were several games where we got out-rebounded by 12-13 rebounds,” stated Herman. He also added that shooting the ball well kept them in games. Also, the switch to a dribble-drive offense was a hardship for the team. “Our guards didn’t always make the proper read and it became too much one on one instead of sharing the ball with other teammates,” Herman added. Passing is a big component of the dribble drive offense, but the team tended to not share the ball. As for departures, the top three scorers this year will be leaving next season. Freshman Yansyn Taylor led the team with 15 points per game. He chose not to come back after missing the final three games this season. Joe LaShonse and Colby Robbins averaged 14.6 and 13.5 respectively. They will be graduating this spring. LaShonse was also their leading passer with 3.7 assists per game. Khalil Brummett and Christian Walker will be departing. As for returnees, Vyshonn Munson will be back for his final year of elegibity, along with Tyus Smith, Rahim Strong, Connor Wilson, and John Senica. Coach Herman has already begun recruiting for next season ahead of National Signing Day. He said that he is prioritizing recruiting athletes with length and shooting ability to better fit the dribble-drive offense. Four recruits have officially signed with IVCC for next season. Tyler Rodgers out of Eldorado High School in Albuquerque, New Mexico and Kentucky Weslyan University transfer Jacarr Boone are among the out of state names who have signed. Joey Murphy from Pontiac High School and Putnam County’s Kaleb Wright are among the local names. There are still others whom Herman has expressed interest in. Lengthy 6-5 guard Dakota Deverteuil of Ottawa has a good two-way game. He is a name to possibly look out for on the local side. Others include Tavis Stampley out of Lincoln Park High School in Chicago. Though it was a frustrating season, Herman has kept a positive attitude and is ready to move on and improve heading into next season. The team will be traveling more often next season. They will be playing teams such as Milwaukee Area Technical College and South Surburban college on the road next season. 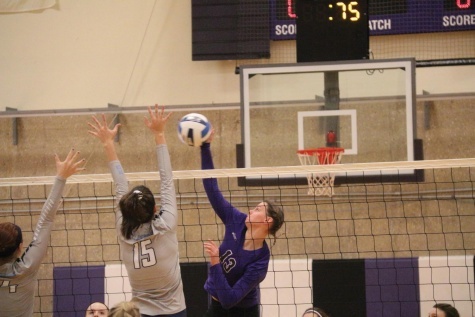 Teams such as Division II powerhouse Kirkland will be traveling to IVCC next year. Overall, next season will feature a more difficult schedule for the Eagles.